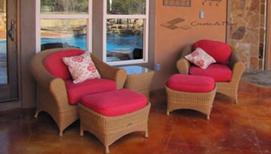 Available in eight colors and is the perfect choice for both interior and exterior surfaces. 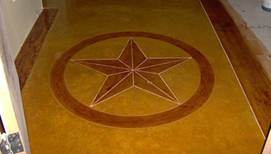 Used for commercial and residential projects, concrete staining also lends a clean, attractive look to driveways, patios, walkways and entrances. It is perfect for high-traffic areas and is very affordable. 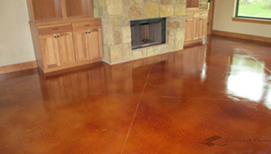 Kemiko Stone Tone Wax or Sealer can be applied to further enhance depth of color and provide surface protection.